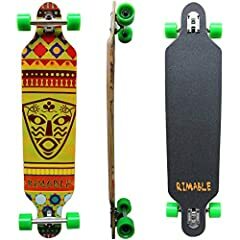 Thanks Rimable for sending me this longboard to review. I’m a complete noob when it comes to riding a longboard, but I was more comfortable on this then I thought I’d be. I hope you enjoy my review. OMG I have the same!